The email came from Ted Hart, President & CEO of CAF America. The subject line read simply, “Extended Holiday Hours.” I’ve never received something like that from a nonprofit before, so it stood out. I was intrigued enough to open the email. Right at the start, the email was about me rather than the sender. After wishing me a happy holiday, Ted recognized that this is a busy season for me. Then, he told me that his organization is extending its holiday hours to better support me (not “all of our supporters”). If the expanded hours, until 8:00 pm EST, do not work for me, Ted said scheduled appointments are available for me. He then provided an email address and phone number when encouraging me to reach out if I needed any help or answers to questions. I tested CAF America. I called Ted after 5:00 pm EST. Guess what? He answered his phone! I did not get his voice-mail. I did not get bumped to a member of his staff. I was able to reach the organization’s President & CEO, the guy who sent me the email. After normal business hours. On the first attempt. Impressive. I love Ted’s email because it was focused on me and my needs. It let me know the organization is there to be of service to me. And Ted provided me with an article that could be quite useful at this time of year. Upon reflection, Ted’s email did not entirely surprise me. I’ve known him professionally for years. Ted advocated donor-first fundraising (also known as donor-centered fundraising) long before it became popular. His email, and the message it contained, are certainly donor-centric. Sadly, that stands in stark contrast to the emails that most other charities send. Most only want my money, don’t care about me, don’t offer me assistance, don’t give me an opportunity to engage, and don’t provide me useful information. Do you work for one of those shameful charities or are you a superstar? Have you wished your supporters and potential supporters a Happy Holiday? Do you just ask for money, or do you also offer service? Have you acknowledged how busy your supporters are? Do they know you appreciate their time as well as their money? Are your messages all about your organization (e.g., I, we, our) or are they focused on the recipient (e.g., you, your, yours)? Are your messages sent from one person to one person, or are they institutional communications to “all of our supporters”? Is your organization shortening its holiday hours for its own convenience or extending them for the benefit of your donors and prospective donors? Are you just asking people for something or do you give them something they will find useful? Do you just speak at people or do you give them a chance to engage with you? Do you give them your email address and phone number? Can they actually reach a live person on the first try? Your answers to the above questions will tell you whether CAF America is making you look bad. Fortunately, if your organization is falling short, there’s still time. Minimally, maintain normal business hours throughout the holiday season. Better, extend your business hours during the holiday season. Notify prospects and donors someone will be available to assist them. Let supporters know they’re appreciated. Provide people with meaningful, useful information. Give people an opportunity to engage. Thank you, Ted and CAF America, for your kindness and terrific example. 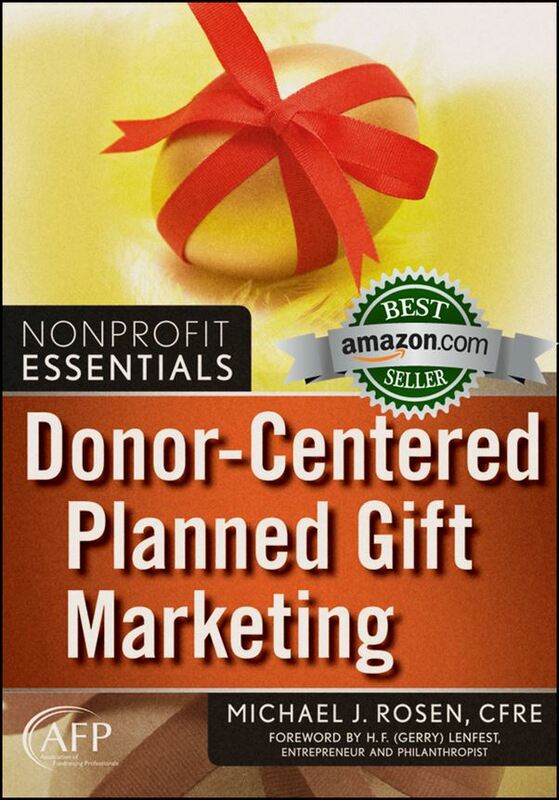 I know that donors who need your organization’s assistance will value the extended hours. I also believe that people who don’t take advantage of the extended hours will still appreciate that you care about them. If you follow CAF America’s excellent donor-centered example, you also will have happier, more loyal supporters. If you want donors to show your organization some love, you better be sure you’re showing them the love. What are you doing (or now planning to do) this holiday season to show supporters you care about them? Please share your great ideas below. Excellent piece Michael, thank you for sharing! Sophie, thank you for taking the time to share your kind thoughts. I say, “ROCK ON” Michael! I too am deluged and tired of the “one way you have to help us because we are so important, it is about us, NOT about you”, messaging that most NPO’s put out. Yes, their mission is important and in most (not all!) cases they are doing good work. But really, is it any wonder so many struggle when their outreach is oriented in the way that it is. Thanks for sharing. Kelley, thanks for your kind comment. I’m glad my post resonated with you. As you know, donors have choices. Will they give to the charity that values them or the one that treats them like an ATM? 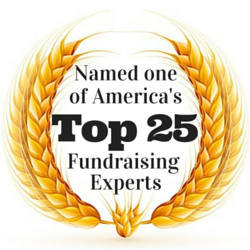 Bravo to the fundraising professionals who know the right answer. Thank you for sharing this. What a great reminder to keep our donors at the center! Paul, thank you for letting me know my post resonated with you. Much appreciated! Michael, Nice to see after years in the business you can still be delighted. Kudos to CAF. Happy New Year! Jay, thank you for message. Yes, it doesn’t happen often, but it is a treat to get a pleasant surprise from time to time. I wish you and yours the best in the New Year!